Greeting all! Again we have had a bit of a hiatus from the blog. 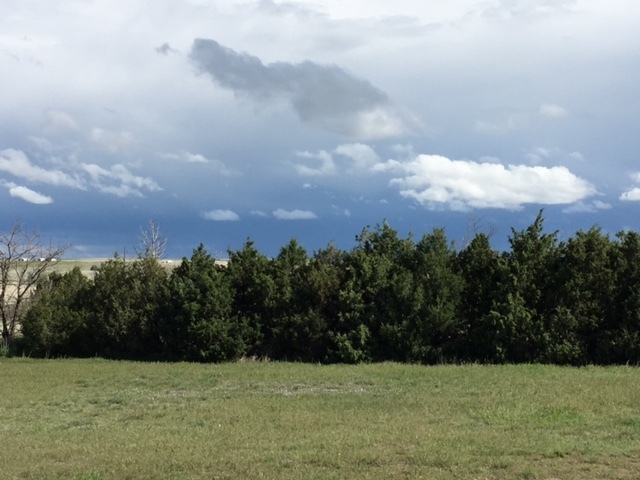 Once again Colorado has not disappointed in providing some very entertaining spring weather. Recall that last year we got hit multiple times with hail. Fortunately that hasn’t been the case yet but we have had week after week of rain. Flash flooding has been going on all around us. The ground is unbelievably saturated so every time it rains it simply runs off and pools in the lowest points. A neighbor down the road had a veritable lake in his front yard with the water practically to the front door. Because we still haven’t received all the parts for the greenhouse (8 calendar months now), we decided to put the tomato plants outside in the city under the hoop huts so they could harden off and so we wouldn’t have such crowded seedling rooms. As Colorado spring would have it, the temperatures plummeted into the mid – 20’s killing many of them off. So what is considered a sacrilege to Farmer Jon, he had to go and BUY tomato plants. We are keeping an eye on radar these days too as the storms in Mexico could send some pretty big rains up here. Its always something until the mountains melt off. This has been the sky just about every afternoon for a month! 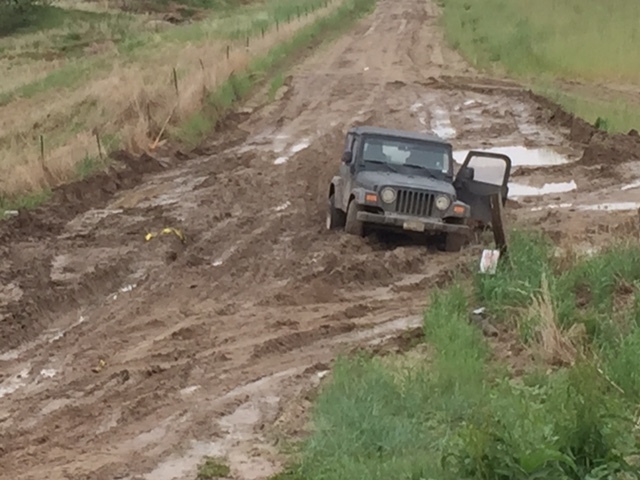 This was the scene near one of the towns next to us! 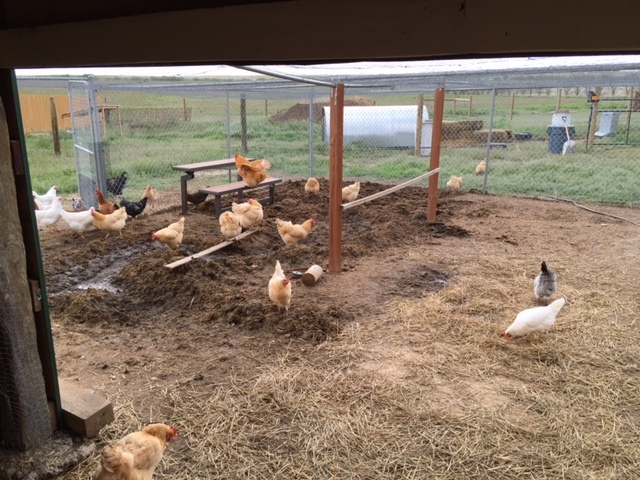 The chicken coop got really nasty! We had to turn over gobs of wet straw to help it dry out. The chickens thought pecking through it was great fun! This from the local paper. 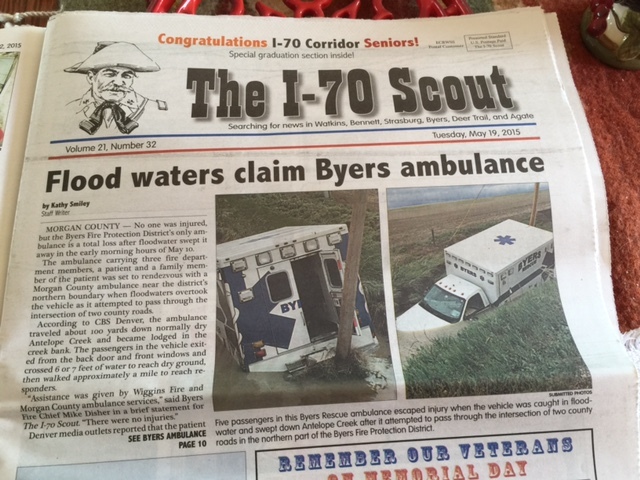 During one of the storms, Byers lost an ambulance in a flash flood. There were people in it and they had to walk a mile (patient too) in order to get help. Evidently all are ok and the ambulance is salvageable but what a night that must have been! This entry was posted in JAZ Farm Progress.